This affordable but effective self-defense ammunition from Fiocchi's Exacta series uses a medium weight 180 grain version of Hornady's XTP bullet, a design known for its strong penetration and reliable expansion. 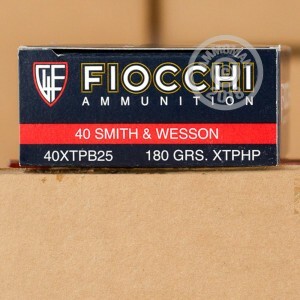 Fiocchi produces this ammo at its US facility in Ozark, Missouri using non-corrosive Boxer primers and brass cases. 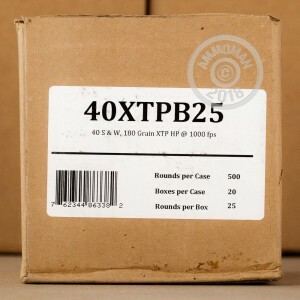 Each case contains 500 cartridges in 10 boxes of 50 rounds each. 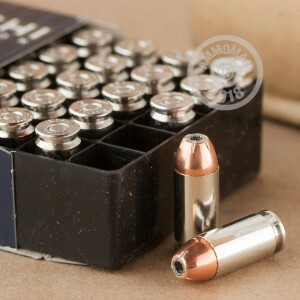 AmmoMan.com is the best place to get 500 and 1,000 round cases of range and defensive ammunition. Place any order over $99 (includes most cases) to qualify for free shipping and handling!